1) TOO LONG – they wasted waaaaaaaaay too much time developing characters that weren’t central and that would just be eaten or otherwise killed. I guess they tried to make you care, or tried to build attachment, but it fell short. They would have been better off starting when they got to the island, everything before it is irrelevant and trite. 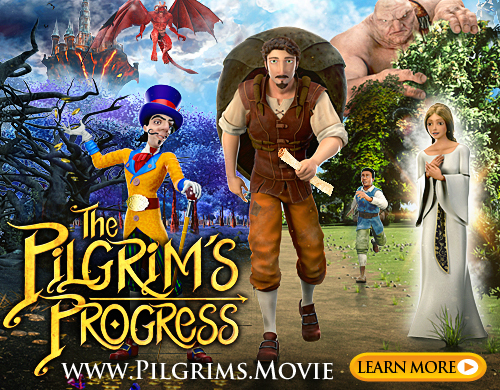 3) WAY TOO GROSS – PLEASE, PLEASE, PELASE do NOT take kids to this movie. The scene with the natives was very disturbing and disgusting. Carl almost getting his head crushed brutally like the guy before him was too much. It is very terrifying as they are being attacked. And then the deaths inside the wall. Just gross. It was like the 80’s again – how many gross ways can we kill a human?? The ‘bug pit’ was just disgusting. 4) TOO CGI – the special effects were admirable, but far from flawless. The fast CGI scenes looked WORSE THAN JURASIC PARK! And it was way too fake how many actually survived the stampede at the beginning. They should have all just died there and I could have gone home and gotten an extra hour of sleep. What did i like? Hmmmmmm. Scenes of New York in the 30’s was fun. The Time’s Square marquis advertising a car “FOR AS LOW AS $445.” The Kong vs. the T-Rex’s was my favorite – too long and way over the top – but pretty good. Just so unbelieveable, and there is no way the girl would have survived without going to a chiropractor for life, and perhaps a therapist! THE WORST: The ‘romantic’ scene with Kong and girl ice skating. That was so dumb. Maybe I need to go see Narnia for the fourth time. King Long didn’t capture that ‘other world’ as well as it could have. I’m disappointed, I REALLY WANTED to like this movie! IN THE END THE TRAILER WAS BETTER THAN THE MOVIE: it had suspese, it had plot, it had tention, it had rapid action, and it didn’t have a girl giving lovey dovey looks to a huge ape. The movie killed all that by being too long, too lame, and too gross. I had no interest in seeing this film, but even from the trailers you could tell that they CGI was not very realistic on the ape. I must admit, I was not looking forward to seeing this one either. Previews just did not catch my attention. I must admit though I have eagerly been waiting for new blogs from you Karl. Glad to see you back now since Dec. 3.
i actually really liked the trailor and thought the ape CGI was pretty good… but they took waaaaaaaaaaay too long to get to the island. It should have started the same way as the trailor, finding the island… WHAM-O get into the story! wow.. what a different take from my review. i agree.. it was long, but it was a great throwback to the original on a lot of levels, even when it gets corny. I agree with everything you said. I kept looking a my watch and wondering if this movie would ever end. I was greatly disappointed because I thought some editing down would have made this a much better film. I too thought that there was way too much violence for kids and the island people gave me nightmares. Several families walked out of the showing I went to, and I can’t blame them. I would have done the same if I had kids with me. Hobbit Huddle - The Lure of Adventure!